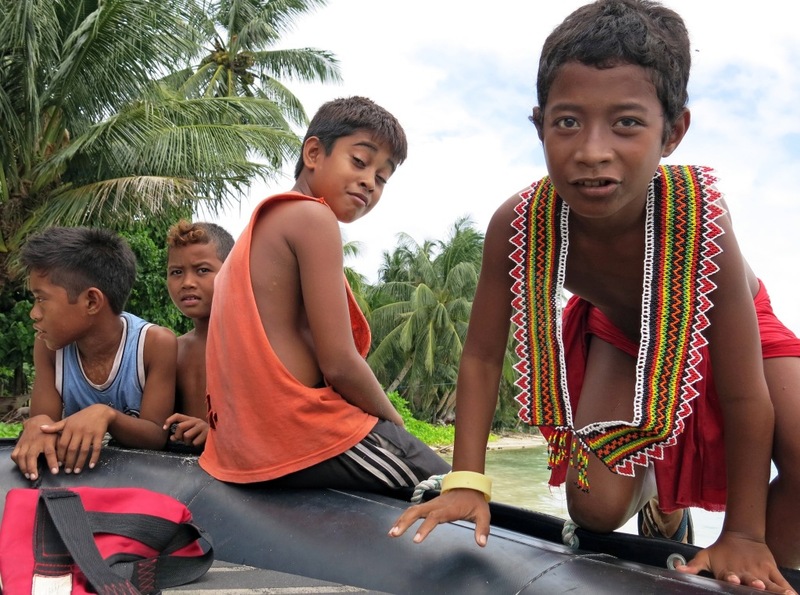 Travelling through a selection of islands that make up the Federated States of Micronesia (FSM), I have gained a sense of place, language, costume, and cuisine for each destination. And yet, I remain amazed that such a diversity of small island homes – in most cases supporting only scores of people and a chief – can find a collective consciousness with which to define a nation. Peppering the Western Pacific Ocean these predominantly low-lying atoll islands span nearly one million square miles of the Pacific Ocean, and despite so much water, distance, and culture separating each autonomous island community, there is a unity and identification amongst them all. Most of FSM’s islands lay just north of the equator, and this unassuming independent island nation is made up of four states. Laid out from west to east they are Yap, Chuuk, Pohnpei and Kosrae. The flag of FSM displays four white stars in a diamond formation on a blue field to represent each of the four states. A typical home on Ifalik Island. 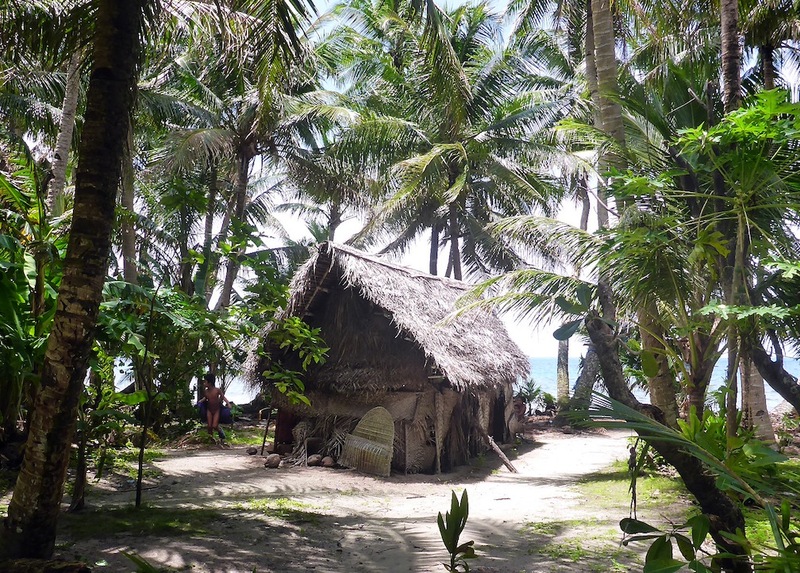 Most homes we encountered through FSM were traditional thatched huts. Arriving at each island in turn we were welcomed by dancers in various stages of donning their traditional costumes and offering up a traditional welcome ceremony. There was a great kerfuffle on Pulap Atoll in Chuuk when our (male) Expedition Leader unwittingly sent a man in to hurry the female dancers along in their dance preparations. Most of FSM’s islands operate under a matrilineal organization and sending a man in to rush the women along is an exercise in futility. The women were gathered around basic palm thatched huts with smoking fires, and greeted his anxious babble with complete indifference. Eventually they powered their bare shoulders, backs and chests with bright yellow turmeric powder and donned freshly woven collars and crowns of palm, shells, flowers and broad necklaces made up of thousands of brightly colored seed beads. They were ready for the dance, only when they were good and ready. 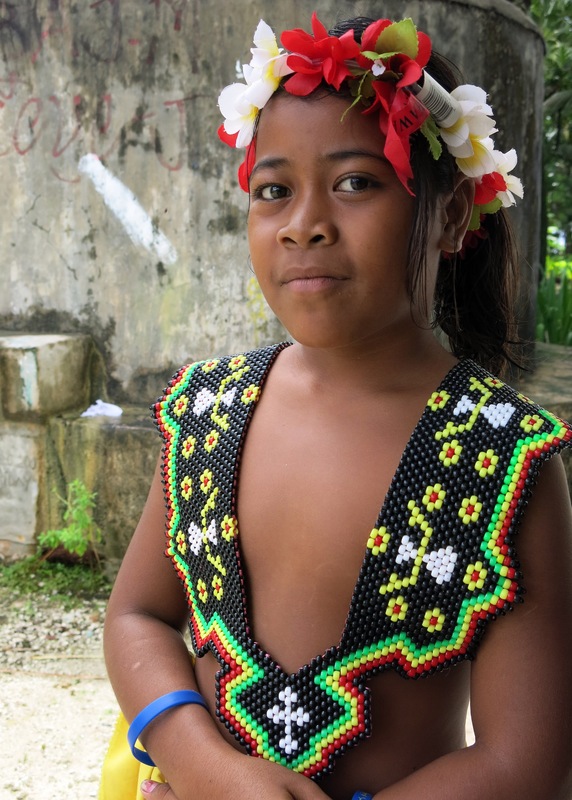 A young girl prepares to join the welcome dance with flowers in her hair and a broad beaded necklace. Otherwise, the atoll island visits were much the same with an obvious increase in the Polynesia spirit of the place as we continued to head to the east towards Hawaii. 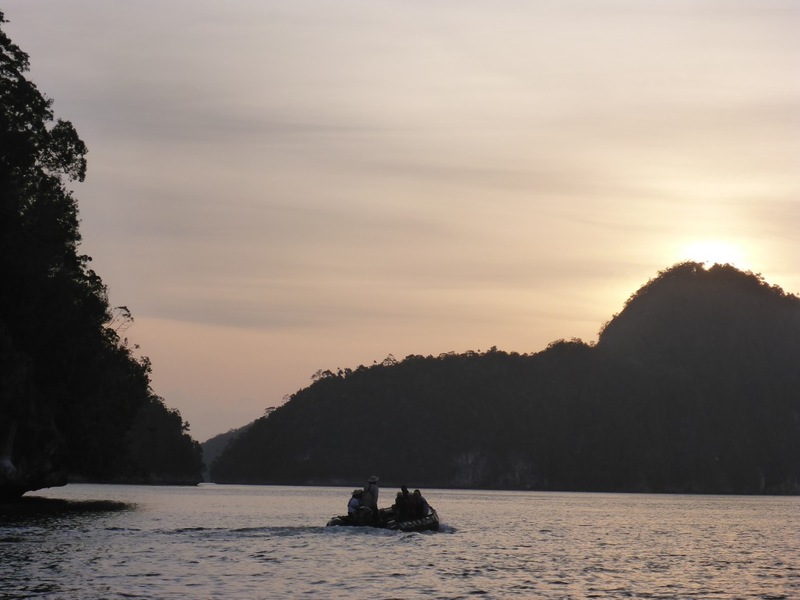 Traditional dances, local foods, and snorkeling and diving on impressive coral reefs around sheltered lagoons. The well known Chuuk or Truk Lagoon offered up WW2 wrecks of Japanese war ships and fighter planes buried beneath the ocean’s surface. A WWII Japanese fighter plane lays on the bottom of Truk Lagoon. Another stop of note was on the island of Pohnpei where we visited the ancient ruined city of Nan Madol. The city was constructed in a lagoon on a series of small artificial islands linked by a network of canals. The site dates back to the 8th century and is an example of megalithic architecture and was a residence for the nobility and elite of the day. What’s incredible about the ancient city is that all of the towering stonewalls are constructed of hexagonal basalt pillars that are formed from slowly cooling lava. It’s perhaps the world’s only example of this type of construction and reminded me of log cabins made from stone tree trunks. 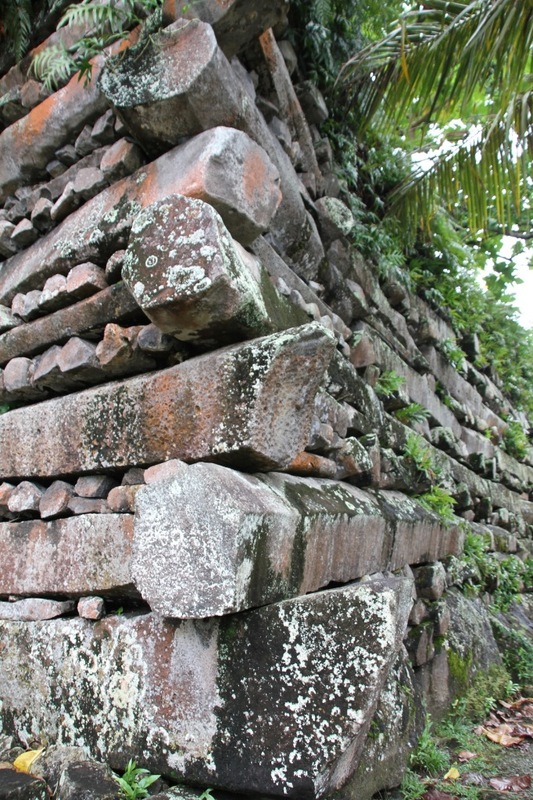 Stone walls made of hexagonal basalt columns at Nan Madol on Pohnpei. 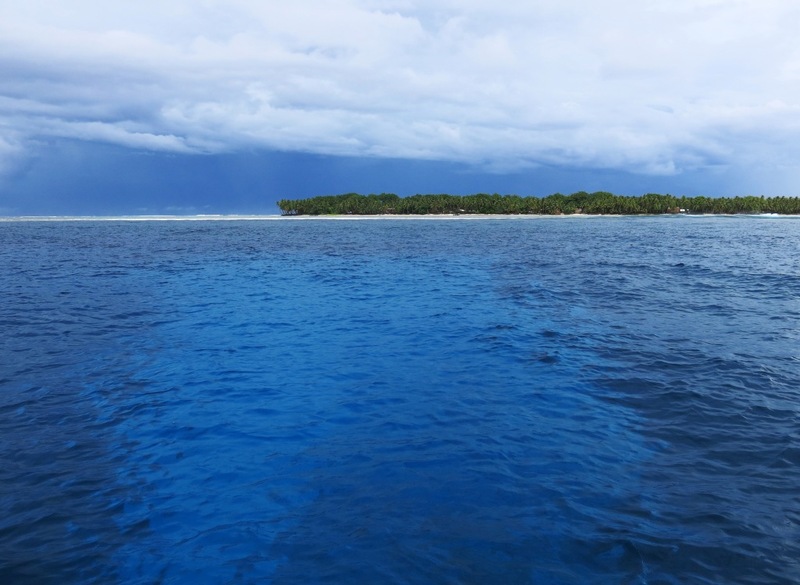 With a day at sea under my belt and the distances increasing, I bid farewell to the islands of Micronesia and steam south for the Solomon Islands. Crossing the equator into the Southern Hemisphere now, a new destination awaits, and one that I intend to experience for all I’m able. 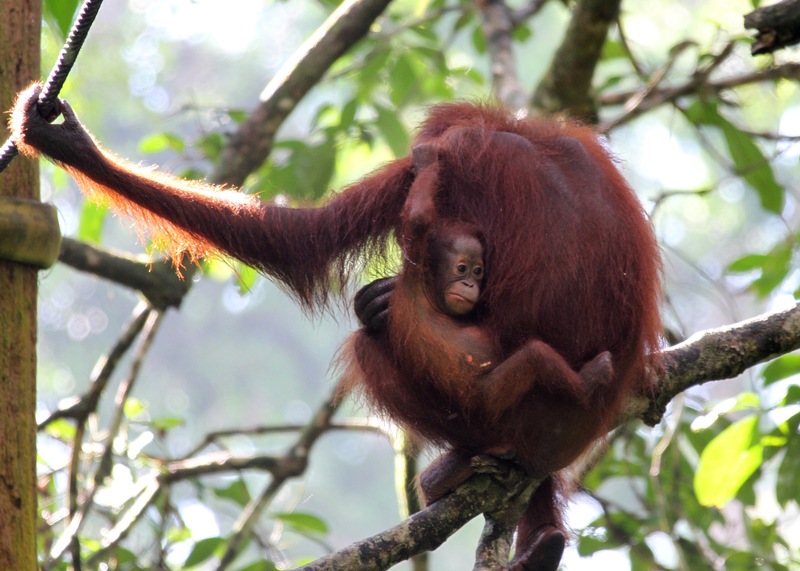 Granted the imae above was actually taken in Malaysia Borneo, but still, the sunlight catches a mother and her young orangutan on the world’s third largest island. 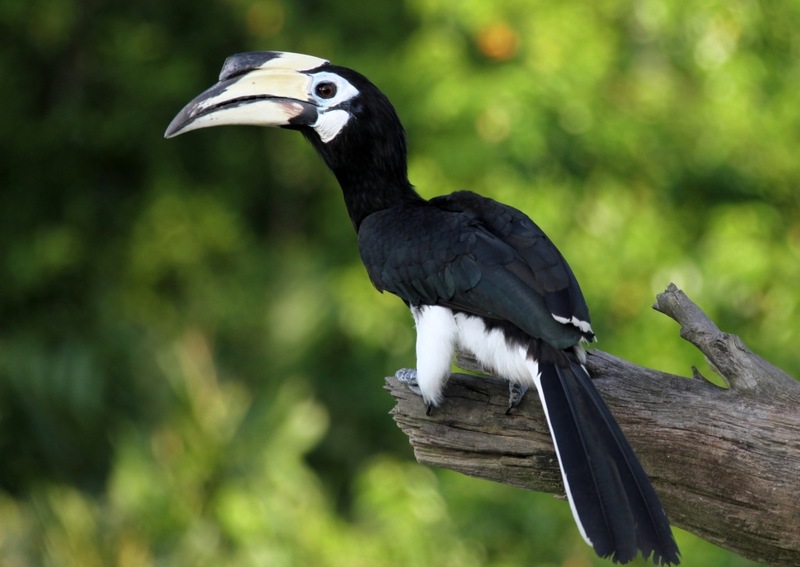 A pied hornbill is one of the characteristic species of the Bornean rainforests. The male works hard to encase his mate inside a hollow tree so she can lay, hatch and feed her chick in safety. Above, a juvenile silver leaf monkey in Borneo. 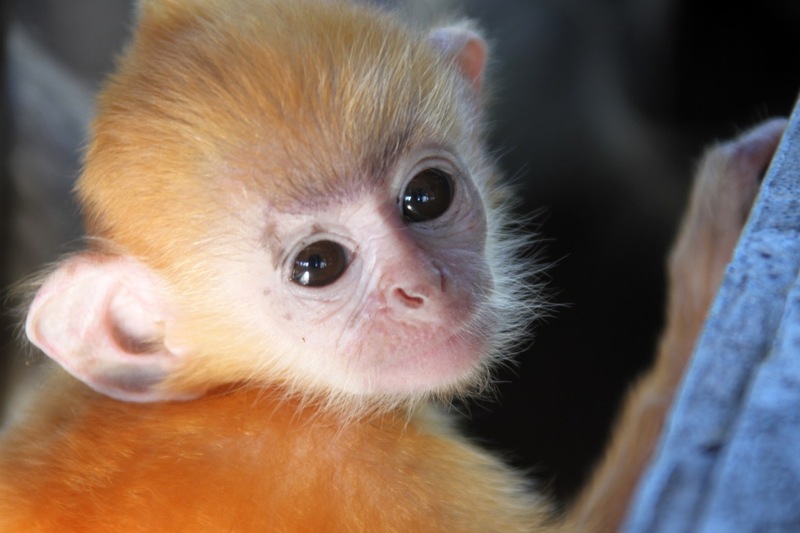 These little guys go through a bright orange color faze when first born and then mature into a handsome silver coat. 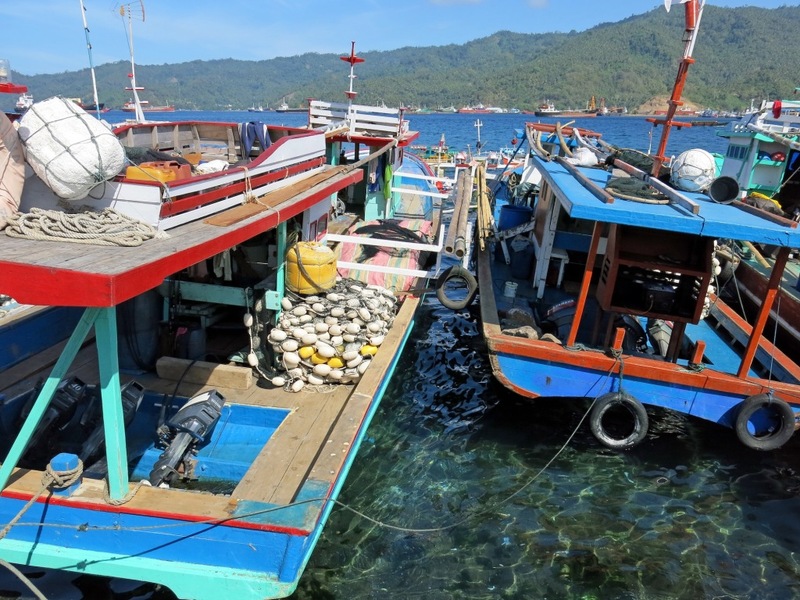 Colorful hand-painted boats line up in front of the Bitung fish market in northern Sulawesi. 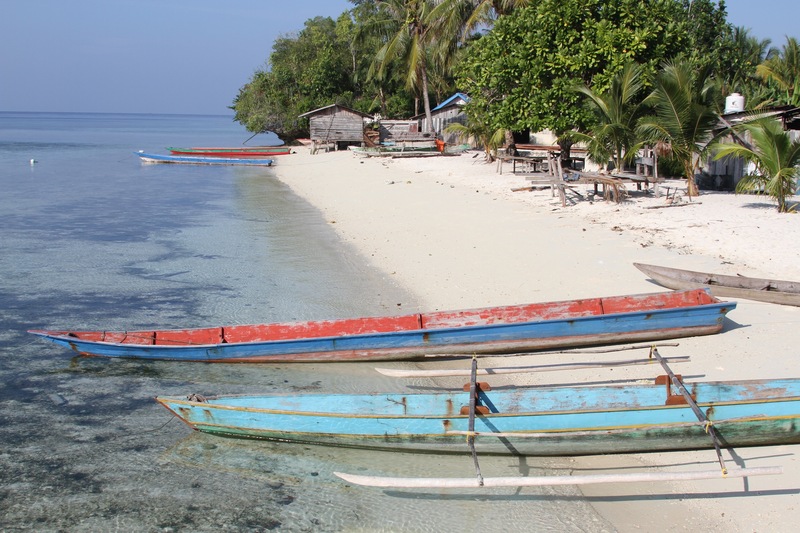 The region is known as the skipjack tuna capital of Indonesia. 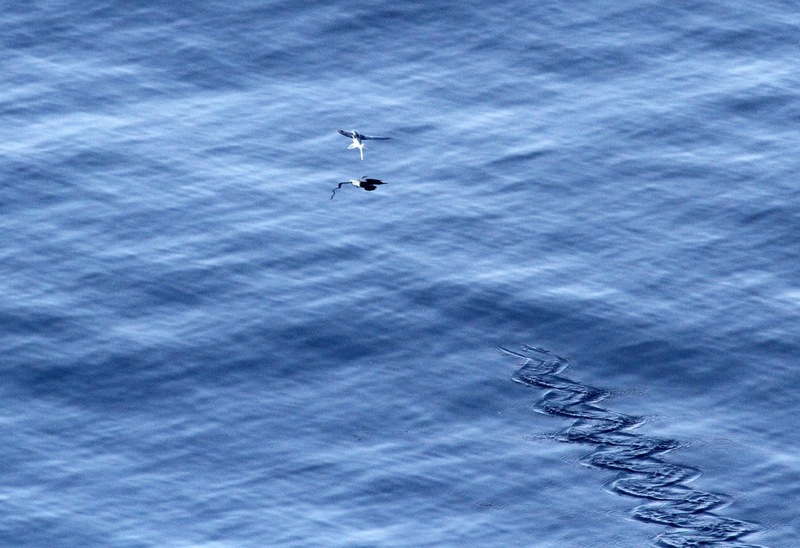 A flying fish skips away from the ship on a flat calm morning at sea. 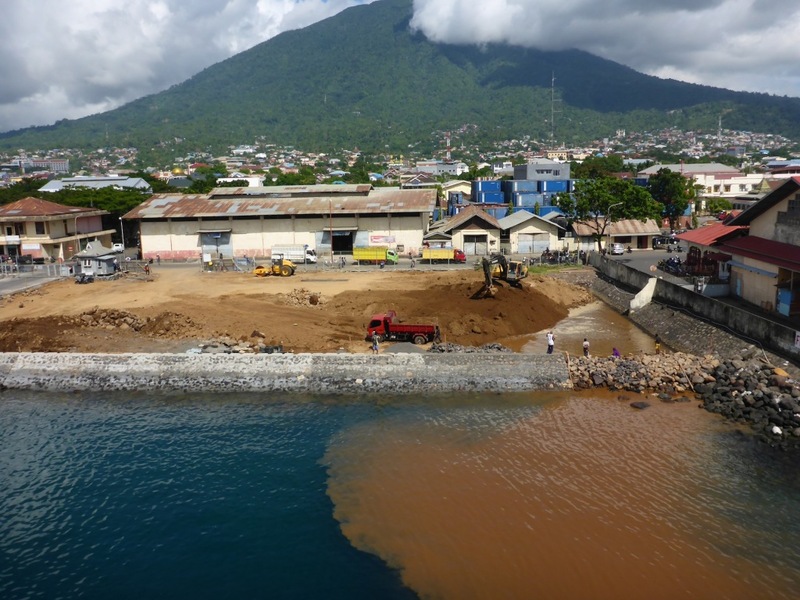 From our berth in Ternate in Halmahera, Indonesia, I watched in dismay as unregulated contruction practices dump tons of thick volcanic soil into crystal clear water that is loaded with corals and reef fish. The sediments will no doubt smother the corals and eventually change the ecology in this harbor. Outside of Kokas, West Papua we set out in Zodiacs to look for ancient rock art on the limestone formations of the region. Amongst delicate orchids, verdant pitcher plants and ratan palms we discovered graffiti from many thousands of years ago. 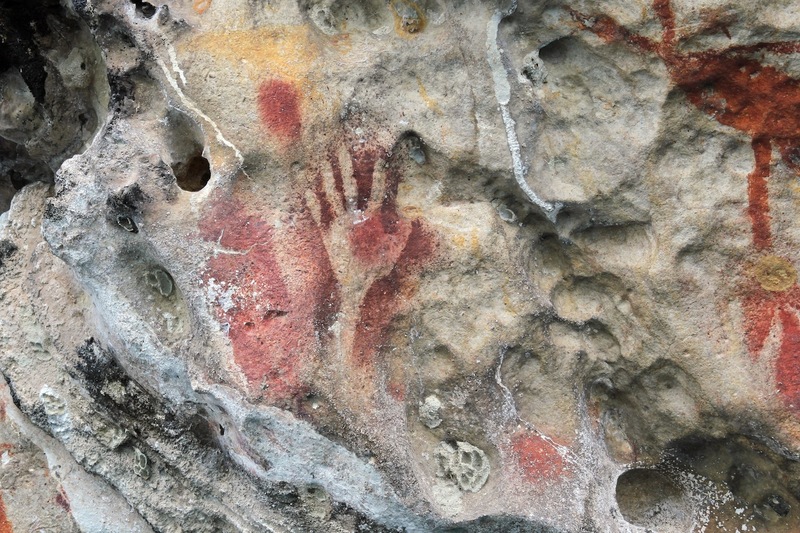 A similar type of rock art in Sulawesi was just discovered to be 40,000 years old. A water taxi was taking some local people to the town of Kokas, and they happily obliged us with a few photos as we crossed paths near the rock art islands. The young man above knew some English and answered a few questions for us. It was a nice exchange in an unlikely spot. Heading deeper into Western Papua we visited the small village of Yenwaupnor which has attracted a lot of visitors thanks to its resident population of red birds of paradise. I woke up at 4:30 am to trek through the forest in the pitch dark. As the forest came alive with noises of birds, insects and rustling lizards I reached a tree where these birds are known to congregate in the early morning light, displaying and calling in flashes of brillant red and long streaming feathers. After watching the stunning birds came the walk back to the village and a wander through the sandy, broom-swept streets with steaming pots of breakfast precariously perched over open fires. 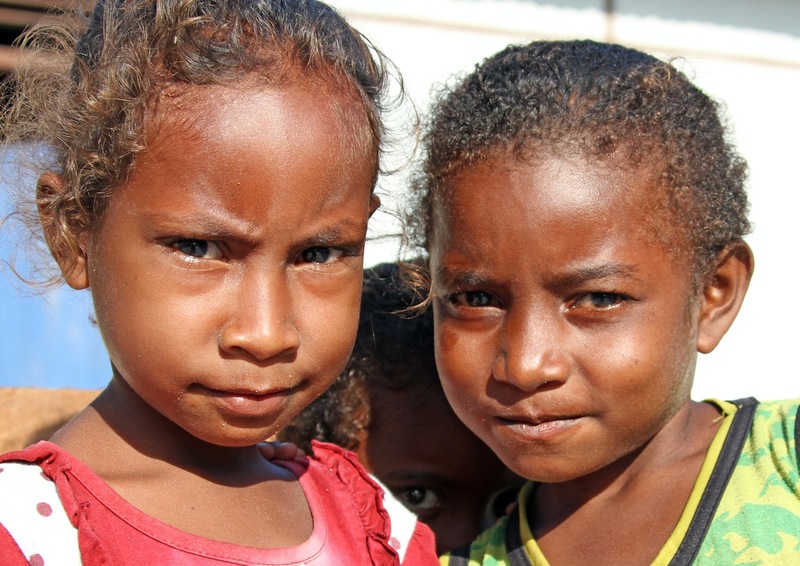 With a few words of Indonesian I was able to get these three little girls in Yenwaupnor to pose for a picture. I love the peeping eyes of the one in back. 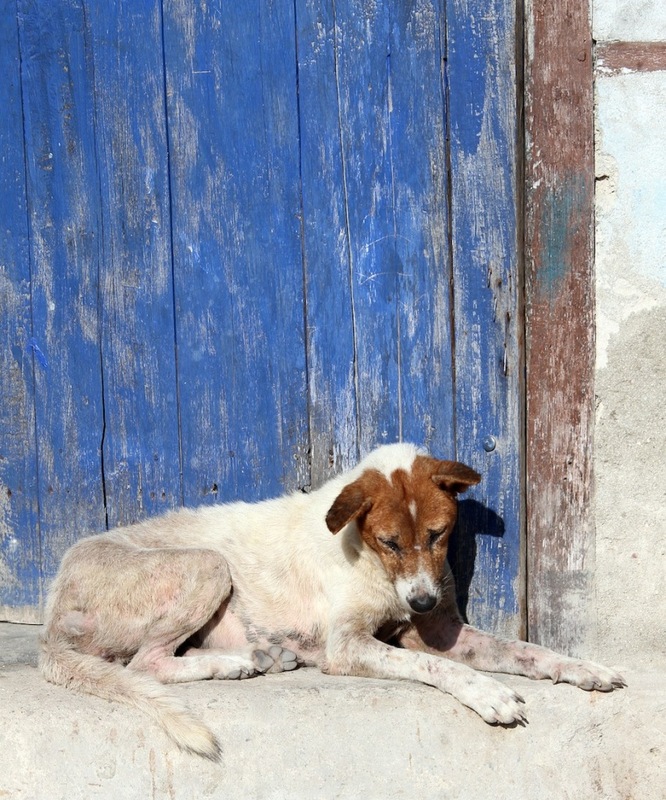 A yard dog sleeps in the bright morning sun on the front door step. 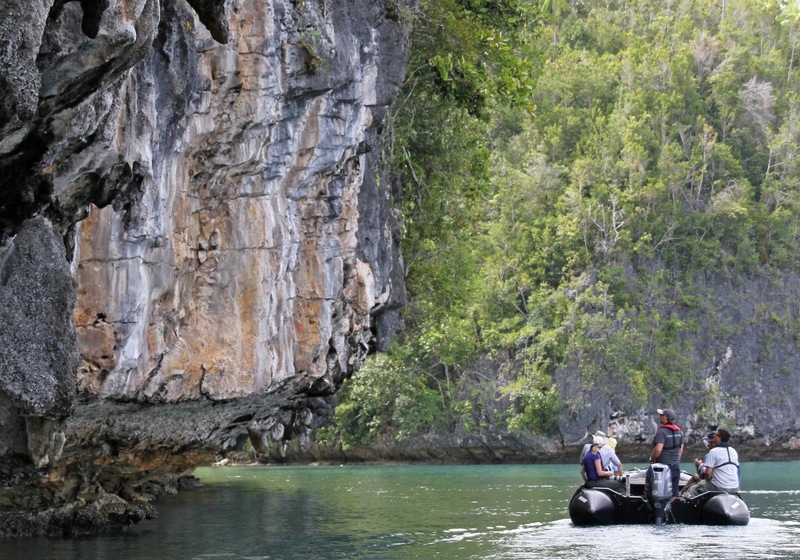 Being in Raja Ampat we were in the heart of the Coral Triangle for four days and exposed to some of the most biodiverse coral reefs in the world. One of the most astounding things I saw was dense mangrove forest reaching into crystal clear water below and that water was loaded with brillant colorful reef. 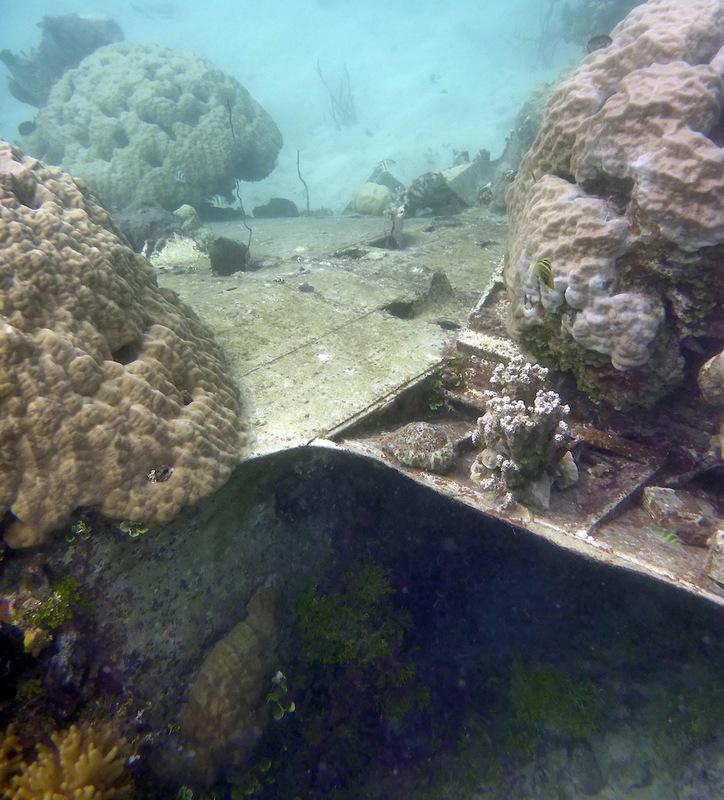 In the shot above you can see some of the corals that were growing up to the prop and drop roots of mangroves. 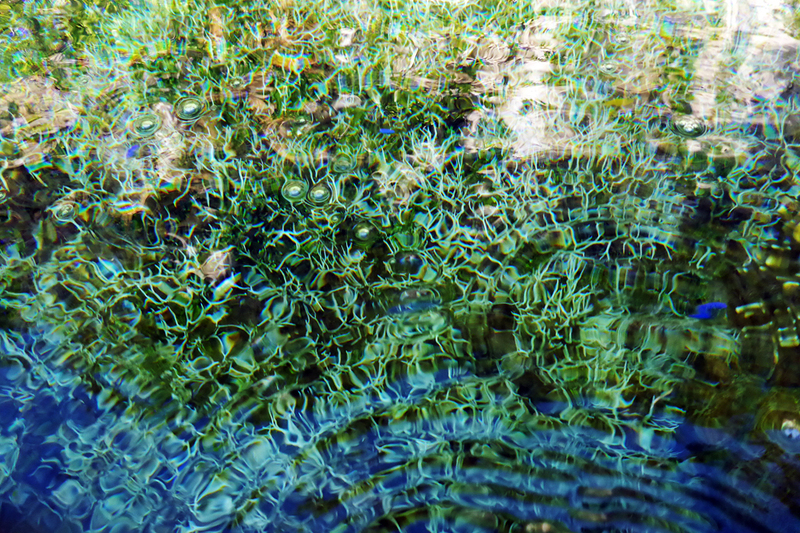 It is highly unusual for corals and mangroves to thrive besides one another. I like the abstract look of this photo and the muted reef colors. And I have to part with a sunset shot as our churning wake now puts many hundreds of miles between the ship and the islands of Indonesia. 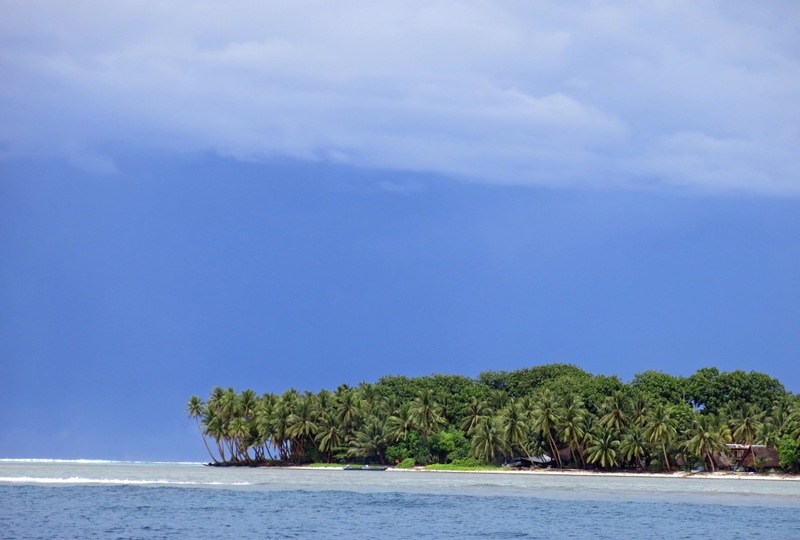 Next stop…Micronesia and a brand new destination for me.